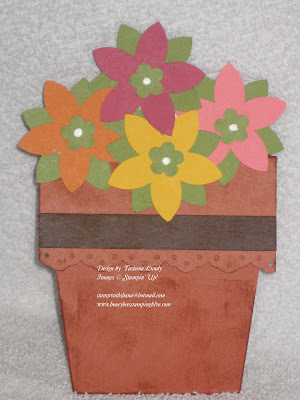 I just had to make another of these cute potted plant cards. 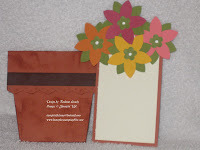 This time I used the 5 Petal Punch to create the flowers. I used the Trio Flower punch for the center. Just to make this pot different from the last one I did I used the Eyelet Boarder punch.